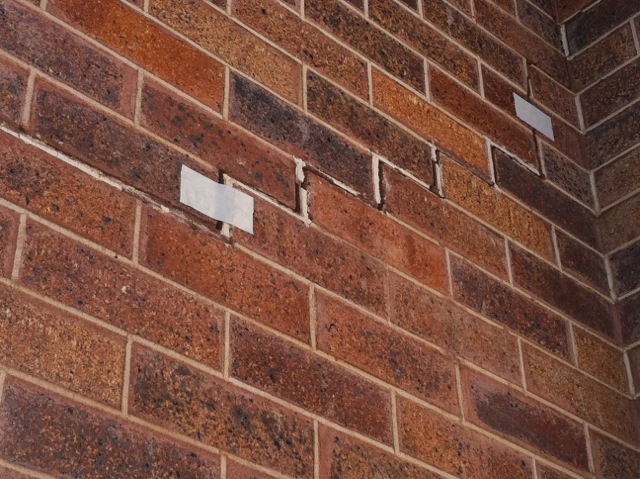 Mainmark was appointed to address large visible cracks which began to appear inside Dalby’s heritage St John’s Anglican Church following the 2011 Queensland floods, despite no water having entered the building. The cracks were symptomatic of damage to the 89-year-old Church’s foundation. The flood had caused the underground aquifer beneath the building to rise, and the foundations to move. The objective was to raise and re-level the Church to close the cracks in the brick façade wherever possible. Care had to be taken to preserve the stained glass windows during the process. 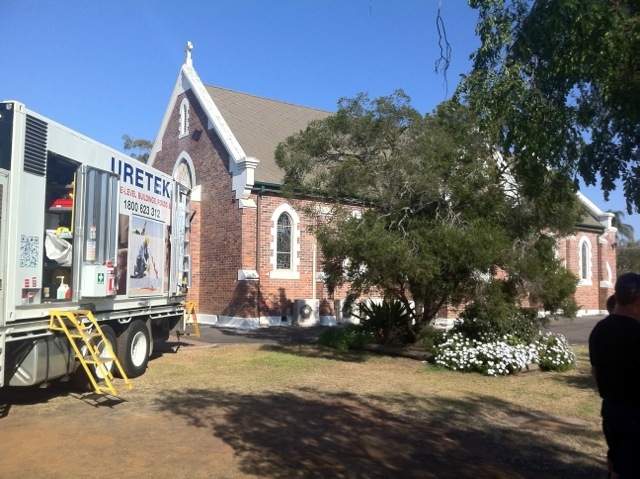 Mainmark used patented Uretek structural resin injection technology to lift the building in 1mm increments, while closely monitoring changes in real-time to ensure the Church was levelled accurately. The Mainmark team drilled small holes to a depth below the existing foundation and injected expanding structural Uretek resins. 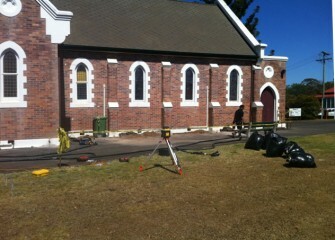 The resins expanded to fill cavities in the soil, forming a strong base for the Church. Unlike traditional concrete underpinning methods, the Uretek method is fast, cost-effective and clean. It does not require excavation and there is no water or concrete dust, leaving no mess behind. 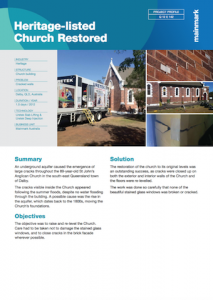 In just a day and a half, Mainmark successfully closed the cracks in the Church’s interior and exterior walls and re-levelled the floors. Completing the work carefully, Mainmark preserved the Church’s beautiful stained glass windows.